For the June edition of SCUBA magazine I was commissioned to write and supply photos from a recent trip I made to the Maldives in the Indian Ocean. I write about my time diving with mantas, sharks, turtles and some wreck diving, together with my experience of diving from a luxury live aboard boat with a Maldivian crew. If interested you will need to get hold of a copy of the magazine. 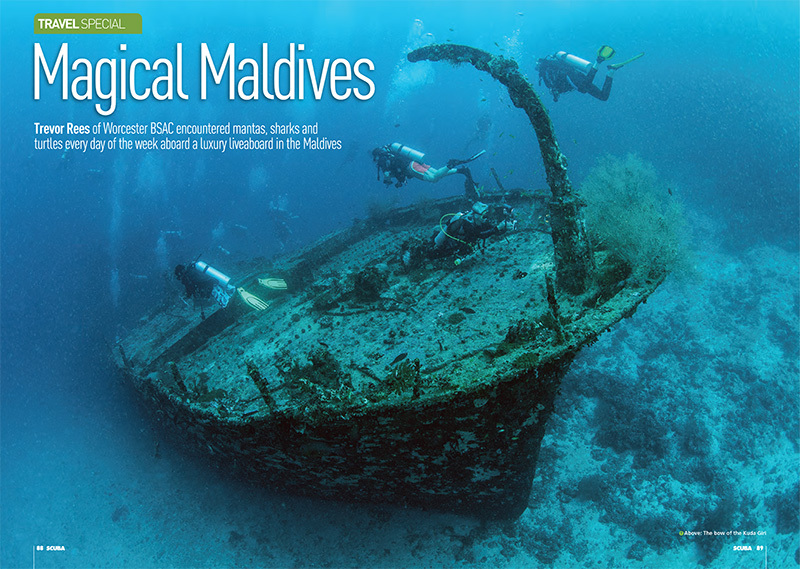 The opening picture, is the small cargo ship wreck, the Kuda Giri, from south Male atoll.